September is National Preparedness Month, so there’s no better time than now to review your hurricane plan. The workplace is the strength of any community. It provides a wide variety of specialized services to its clientele and an economic base for its employees. The commercial sector should prepare to protect its property against the hazards generated by a hurricane. Review property insurance with the company’s insurance agent concerning the hazards of a hurricane. Determine and establish written hurricane protective procedures for the business property and its contents. Inform key employees or essential staff of their specific responsibilities under the established hurricane procedures. 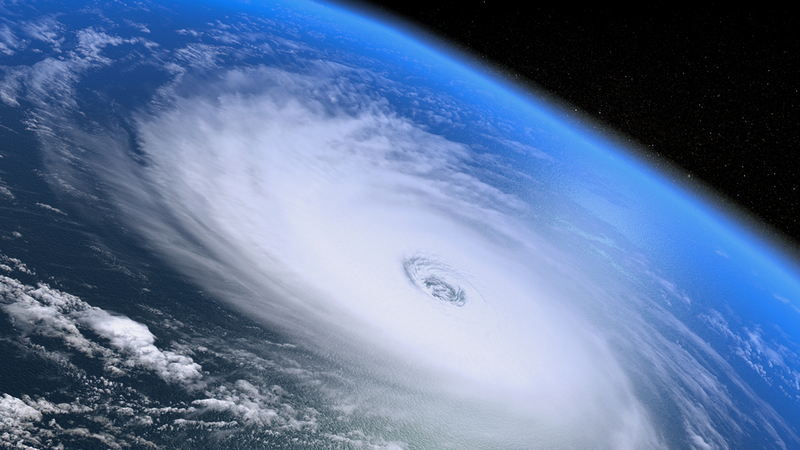 If appropriate, establish an employee training program concerning your hurricane procedures. Specify conditions under which hurricane protective procedures may be implemented. Determine and acquire emergency protective equipment and supplies (e.g., heavy plastic sheeting, duct tape, masking tape, sandbags, emergency generator, storm shutters, chain saw, large pieces of plywood, hand tools, and other essential items). Appoint an individual and designate an alternate to implement hurricane protective procedures. Establish plans for the protection of computer files (e.g., a backup system to secure data and safe storage). If appropriate, develop a system for the identification of employees (e.g., I.D. cards, vehicle permits, badges, etc.). If appropriate, inform all employees on when and how they will be notified to report back to work. Monitor a local radio or television station for official emergency information and instructions. Take photographs or video of the business establishment inside and out, from all angles. This will help to substantiate insurance claims later. Assemble insurance policies and financial records necessary to expedite quick settlement of claims; package in waterproof container(s). Make arrangements to pay employees, preferably in cash, as it may be some time before banking institutions are operational. Implement hurricane protective procedures as conditions warrant. Clean drains, gutters, and downspouts of the buildings. Bring in display racks and other objects usually left outside. Secure all loose objects, such as trash cans, that might cause damage during strong winds. If building has exterior glass frontage, clear out that section of the building as much as possible and use shutters or board up to protect glass. If you have no shutters or boards, strong masking or duct tape may be used. Tape in an “X” fashion on the inside of the glass to reduce shattering. Move merchandise, equipment, or furniture from windows and glass skylights to protect them from water damage. Clear all desk and table tops of small loose objects. Take down all loosely secured pictures, plaques, etc. Box or place in desk drawers or storage cabinets any loose papers, books, hanging plants, etc. Relocate files, boxes, computers, office machines, and other equipment to the innermost portion of the building or a safer location. Do not leave boxes or equipment on the ground floor; elevate them by placing items on desk or table tops. Remove contents of lower file cabinet drawers on the ground floor of the building and secure contents elsewhere. If you own equipment that could be useful after the storm, notify local emergency management officials. 24 Services is the preferred restoration services partner of commercial & residential property professionals across New England. For more information about our disaster & safety training, or partnership programs, contact 24 today.